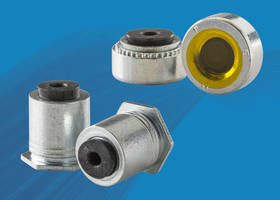 ATLAS® SpinTite Blind Threaded Inserts are available in half-hex shank low-profile head, rib-wall minimized-profile head, rib-wall low-profile head, thin-wall low-profile head and swaging low-profile head versions. Units are used with panels or sheets of materials such as metal, plastics, and fiberglass with thickness up to 0.51 mm. 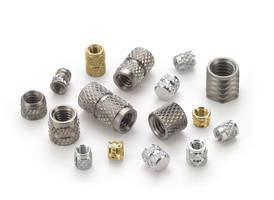 Suitable for applications such as tubing and extrusions, inserts are offered with thread sizes ranging from #6-32 to 1/2”-13 and M4 to M12. 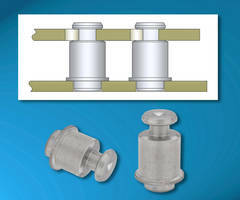 ATLAS® SpinTite® blind threaded inserts from PennEngineering® provide strong, permanent, and reusable threads in thin sheet materials where only one side is accessible for hardware installation. Installation is performed from the accessible “front” side using spin-spin tooling technology. 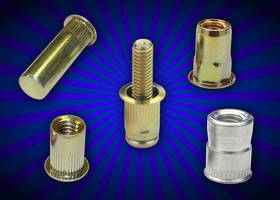 The inserts then become permanently mounted on the “back” side to accept a mating screw for final component attachment. The “blind” installation capability especially suits applications such as tubing, extrusions, and others where access to the back side is either limited or nonexistent. 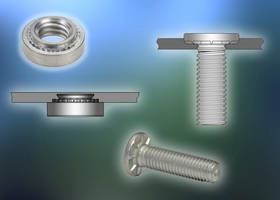 ATLAS SpinTite inserts have been designed for use with panels or sheets of any hardness or material (including metal, plastics, and fiberglass) and as thin as .020” / 0.51mm. They additionally can assemble multiple dissimilar materials during installation, eliminating any need to perform spot welding or other secondary operations, saving time and money during production. 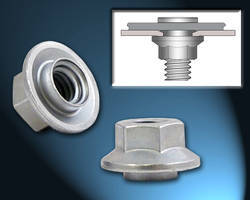 Detailed specifications, fastener drawings and 3D models, and performance data (ATLAS Catalog) for these RoHS-compliant inserts can be viewed and downloaded for free at www.pemnet.com. For more information, visit www.pemnet.com, email info@pemnet.com, or contact Michael J. Rossi, PennEngineering®, 5190 Old Easton Road, Danboro, PA 18916-1000 USA. Phones: +1-800-237-4736 (toll-free in the U.S.) and +1-215-766-8853.